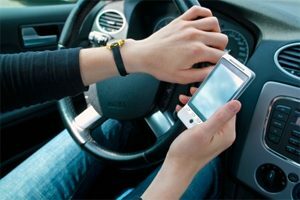 Texting While Driving Category Archives — Massachusetts Injury Lawyer Blog Published by Boston, Massachusetts Injury Attorneys — Breakstone, White & Gluck, P.C. As students head back to classes, this is a good time for families to talk about cell phones and distracted driving. Each day, nine people are killed in the U.S. in crashes involving distracted driving behaviors, such as using a cell phone, texting while driving or eating. More than 1,100 are injured. There are now 46 states which ban texting while driving, including Massachusetts, which banned the practice in 2010. Junior operators are not allowed to use cell phones at all in Massachusetts. No Cell Phone Rule. Lead by example. Put your cell phone away while driving your children to school. Tell them to put theirs away too because it creates a distraction for you on the roads. Make this a rule for school drop-offs and pick-ups. If you can, extend it to other travel times. Drop-Off Zone. After you drop your child off at school, resist the urge to immediately check your cell phone in the drop-off zone. Drive away and check later. No Cell Phone Use While Commuting. Keep telling your children the cell phone is not for use while commuting to school. Even if they are young and many years away from driving, they can learn now how distracting any cell phone use can be in the car. Children should not use cell phones while walking or riding bikes to school, either. They can check in with social media, e-mail and text messages at home. If they must, tell them to step several feet off the sidewalk. Make it clear it is not safe to stop in a parking lot. School Bus. Encourage your child to keep their cell phone packed on the ride so they can be aware of what is going on around them. Reward Your Child For Not Using a Cell Phone. When your children do as you ask and leave the cell phone packed up, let them know you noticed. Talk to Your Teen Drivers. 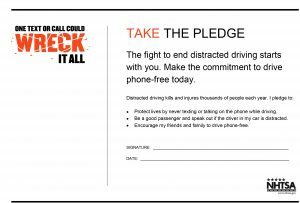 Take some time to remind them not to use their cell phone behind the wheel. They could seriously injure someone or be stopped by police and face fines and a temporary loss of license. No Passengers. Do not allow them to carry other teenage passengers with them until they become experienced drivers, and even then they should limit the number of passengers in their cars. 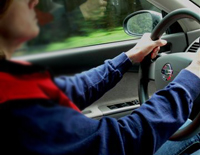 Your teenager needs all their energy to focus on the roads and avoid car accidents. Your teenager may not be happy with your rules, but younger drivers under 25 are two to three times more likely to text or e-mail while driving than others, according to the National Highway Traffic Safety Administration. You want to protect your teenager and help them develop safe habits. Share Safety Materials. Do not be your teen’s only source of information. Occasionally share safety campaign information or news articles about texting while driving with them. One resource is the AT&T It Can Wait campaign. Drivers may claim they are not texting behind the wheel. But Massachusetts State Police say that at least 440 of them were doing just that in June. State Police cited these drivers over three weeks in the Merrimack Valley, part of a federally funded enforcement grant involving 12 communities. Another 509 drivers were ticketed for impeded operation, after being caught engaged in distractions such as reading and grooming while driving. The numbers are notable as today marks three years since the Safe Driving Law took effect in Massachusetts, placing new restrictions on drivers under 18 years old and banning all drivers from texting while driving. Three years later, how well are you complying with the law? The law bans texting by drivers, including reading, writing or sending messages. This includes text messages, e-mails and messages sent through social media sites such as Facebook and Twitter. 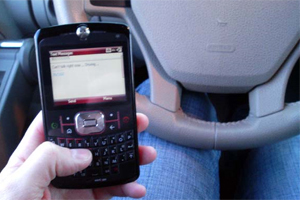 Drivers cannot text while driving or sitting at red lights, intersections or on other public ways. Texting while driving is a primary offense, meaning police can pull drivers over when they suspect the behavior. The law also covers more than cell phones. It bans communicating through any device while you are driving, including tablet computers and laptops. Drivers are permitted to talk on cell phones in Massachusetts. But operators under 18 years old are banned from all cell phone use, a measure passed as part of the Safe Driving Law. Across the country, 41 states ban texting while driving. Fines in Massachusetts drivers are $100 for the first offense, $250 for the second and $500 for third and all subsequent acts. When a driver causes serious injury or death as a result of texting, they can also face criminal charges. One Massachusetts newspaper has called for more. In today’s edition, the Worcester Telegram & Gazette noted that drivers who violate the law do not face any impact on their license or auto insurance rates and called on the Legislature to strengthen laws. “To create a true deterrent, lawmakers must strengthen the penalties, particularly for second and subsequent offenses,” the Telegram & Gazette wrote. Maybe the Legislature will review the law. Enforcement will continue. State Police have launched Phase 2 of their “Text with one hand, ticket in the other,” campaign in the Lowell and Merrimack Valley area. But the discussion goes beyond a $100 ticket to safety and responsibility on the road. Any cell phone use that takes a driver’s attention off the road is negligent and can cause a car accident resulting in serious injuries or death. So we ask again. Have you complied with the law? Are there are additional steps you could take? If you have any doubts about safety, or the terrible effects three seconds of inattention might bring, please watch this video: “From One Second To The Next,” by Werner Herzog. It is part of AT&T’s It Can Wait campaign. Texting While Driving Crackdown Nets 440, Lowell Sun. Tougher penalties needed, Worcester Telegram & Gazette. Safe driving law applies to more than just texting behind the wheel, The Boston Globe. We want to share a story we heard on NPR this morning. Texting while driving remains one of the leading safety hazards on our roads today, despite years of public service announcements, educational campaigns and media stories of tragedy. German filmmaker Werner Herzog has now released a new and less traditional public service announcement. In an in-depth 35-minute film, he speaks to victims, families, law enforcement and drivers who made the mistake. In one case, he shows the daughter of a victim reunited with the driver who killed her father. In another case, a woman who was seriously injured by a texting driver faced more than a million dollars in medical bills. The film is called, “From One Second to the Next,” and can be viewed below. It is part of the AT&T “It Can Wait” campaign. Talking, e-mailing and texting in the car are not any safer with voice recognition software, a new study finds. Infotainment systems – those digital screens in a vehicle’s dashboard – are becoming more standard in cars. They have voice recognition software which allows drivers to talk on the phone hands-free or send e-mails and text messages by voice. You can ask your GPS for directions, go online and even log into social media sites, such as Facebook and Twitter, all while driving, though these practices are unsafe. While the federal government seeks industry support to limit use of these features while cars are in operation, the speech-to-text technology is legal in all 50 states. It provides an alternative in the 11 states and District of Columbia which ban cell phone use for all drivers. Massachusetts is one of the 41 states and District of Columbia which ban texting while driving for all operators, though drivers over 18 can talk on cell phones. The new study by the AAA Foundation for Traffic Safety shows that putting the phone down and talking is still a risk. 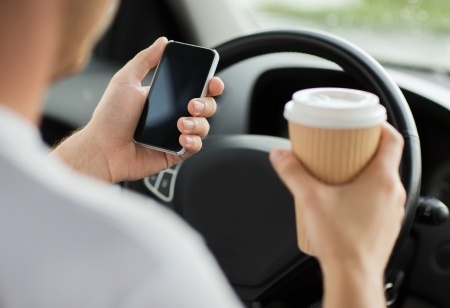 The study reported that speech-to-text technology causes a higher level of cognitive distraction than other activities behind the wheel, such as listening to a book on tape, the radio or talking on a hand-held phone or hands-free phone. Researchers compared drivers undertaking the different activities with eye-scanning technology that measured where driver attention was focused and electrical activity in the brain. The study was led by David Strayer, a neuroscientist at the University of Utah who researches driving behavior and car accidents. He was the same researcher who led the 2006 University of Utah study. In 2013, 9 million systems will be shipped in cars worldwide, according to ABI Research, an industry research firm. The number is expected to rise as automakers push the technology. This technology meets heavy government concern about distracted driving. In 2010, 3,092 people were killed in car crashes related to distracted driving, according to the National Highway Traffic Safety Administration. 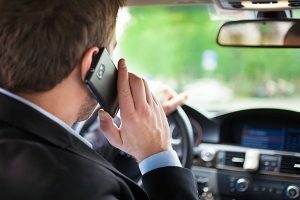 Recently, National Transportation Safety Board Chairman Deborah Hersman called for a ban on all phone conversations behind the wheel, even with hands-free devices. Last December, the federal government released voluntary guidelines for the auto industry, recommending that many infotainment system features be disabled while cars are in use. The recommendations seek to prevent drivers from manually enter messages, read messages, browse the Internet and make video conference calls while driving. We all have one: a cell phone we keep close by throughout the day, to keep in touch with work and the people in our lives. Many of us now use smart phones so in addition to talking and texting, we have quick access to apps, cameras and other neat gadgets. The bottom line is we get more use from our mobile phones now than ever. While the conveniences are nice, they are a negative when it comes to driving. Studies have long shown cell phone use of any type is a distraction which can result in drivers taking their eyes off the road and causing motor vehicle accidents. Most states have some restriction on use. The District of Columbia and 39 states, including Massachusetts, ban texting while driving. Ten states and the District of Columbia ban all phone use by drivers. Massachusetts bans all cell phone use for drivers under 18. A ban on using hand-held cell phones behind the wheel was approved by the Massachusetts Legislature’s Joint Transportation Committee this week. On Thursday, the committee voted 8-0 to move forward the bill which advocates say will reduce car accidents, driving injuries and motor vehicle deaths. Some lawmakers did not vote on the ban, which was also discussed in 2010. That year, a new law took effect to reduce motor vehicle accidents by banning drivers under 18 from using cell phones to talk or text. All other drivers were banned from texting while driving. Under the proposed cell phone ban, drivers would still be allowed to use hands-free cell phones with Bluetooth and other devices. Many safety advocates say hands-free cell phones are safer and this type of ban will help police better enforce the law. Right now, police say it is difficult to differentiate between drivers dialing a phone number and sending a text message. As a result, police only wrote 1,100 tickets for texting while driving in the law’s first year, according to the Department of Transportation. This averages one for every 200 speeding tickets issued among Massachusetts’ 4.7 million drivers in the same period. 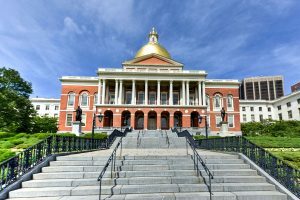 The hand-held cell phone ban will now be sent to the Massachusetts House of Representatives and Senate. The Ways and Means Committee may also consider the financial aspects of it. If approved, Massachusetts will become the 10th state to ban any type of cell phone use while driving. The national debate over cell phone use and car accidents has been growing stronger. In December, the National Transportation Safety Board (NTSB) called for a nationwide ban on driver use of portable electronic devices (PEDs) while operating a motor vehicle. U.S. Secretary of Transportation Ray LaHood said he opposed including hands-free cell phones. 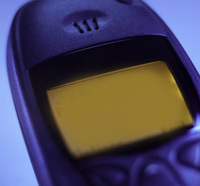 Click here to read more about the proposed hand-held cell phone ban in The Boston Globe.